It’s spring and home shoppers are out in force, spurred on by rising prices and a short supply of homes. According to the Showing Time Showing Index, home showings in the western region were up 6.5 percent in March compared with March 2017. Showing time is a Realtor showing service. 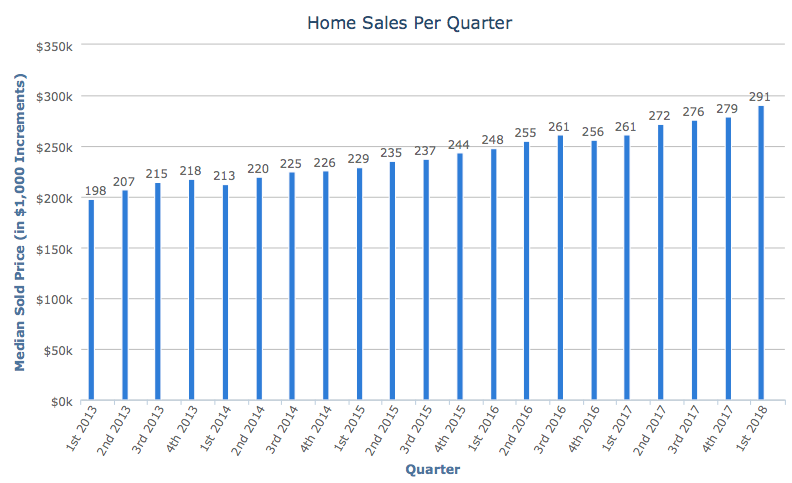 “A higher number means that an average home receives more buyer visits in a given month. All index values are scaled relative to initial index value set to 100 for January 2014,” the service reports. Interest rates, too, are going up. Old school thinking was that when interest rates rise, prices fall. But that’s not the case in this economic climate, according to a recent Freddie Mac Insight Report published recently. “Once financing costs for a new mortgage rise above the rate borrowers are paying for their current mortgage, borrowers would have to give up below-market financing to sell their home. “Instead, they may choose to delay both the sale of their existing home and the purchase of a new home to maintain the advantageous financing,” the report said. Under current conditions prices are not responding to rising interest rates. Whether you are a move-up buyer or first-time buyer, waiting to purchase your next home based on the belief that prices will fall because of rising mortgage rates makes no sense, the report indicates. In Utah County home prices over the last 12 months have risen from a median price of $269,998 to $290,000, according to the Wasatch Front Multiple Listing Service, an increase just shy of 9.5 percent. Prices are projected to go up another 5 percent to 6 percent this year. So it’s no wonder that savvy home shoppers are rushing out to buy right now rather than pay more in a few months. Sadly, some buyers are giving up, while others are forced to settle for something less than their dream home just to get in the market and catch the wave of rising prices. Last season, from April through September, home sellers were getting 100 percent of their asking price. Currently sellers are getting about 98 percent of their median asking price, on average. Over the last year homes stayed on the market 19 days on average, while last month that dropped to just 16 days.